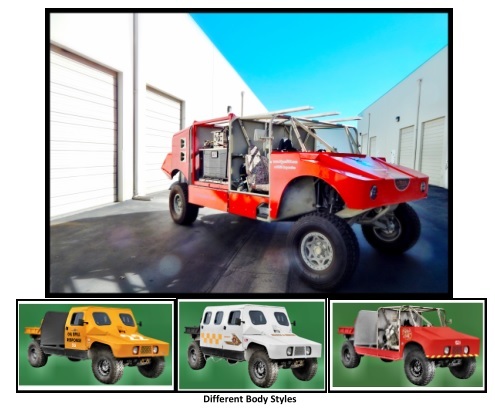 On September 11, 2015, Vyper Adamas Inc., unveiled their First Responder TUL^V (Tactical Ultra Light Vehicle) for emergency services at the At the Ready Magazine EXPO in Columbus, Georgia. This debut launches the first vehicle of this caliber specifically created for first responders and natural disasters. The TUL^V was the main attraction and was overwhelmingly received by all who attended from all states in FEMA Region IV. Vyper Adamas Inc. also announces it’s new assembly plant in Reno, Nevada to assemble the TUL^V line of Emergency Response vehicles along with their mPODs (Modular Precise Operating Devices) for worldwide use. “We have plans for an additional American manufacturing plant underway as well”, says Nicholas Chapman, CEO of Vyper Adamas. 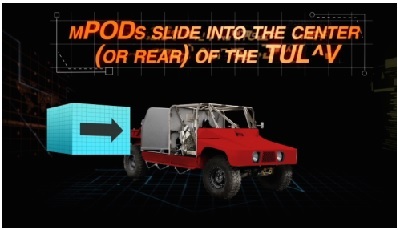 The TUL^V is designed to fill the large gap between an ATV and the Humvee. Engineered with 40+ years in off-­‐road racing and safety, the TUL^V allows for vehicle flexibility with agility, RELIABILITY, and quick response in emergencies. It out-performs in various situations, whether fording up to 44 inches of water, traversing obstacles while carrying 9 individuals, or rescuing victims after natural disasters. It boasts a towing capacity of 20,000 lbs., a GVW of 11,000 lbs. and is EPA tier 5/6 Europe and tier 3 USA smog legal. Assembled with 80% COTS parts and a base weight of 4,500 lbs., the TUL^V embraces agility, while having the 400+ lbs/torque to carry a payload of 3,500 lbs. or more. Gone are the days of sacrificing mobility for performance. The TUL^V expertly embraces both. Engineered with emerging technologies, the TUL^V embodies SAFETY standards that exceed all other vehicles on the market for emergency response. With an integrated rollover system that withstands 3G-­‐velocity force, 4-­‐point SAFETY harnesses, and strategic placement of components, First Responders accomplish their missions with ease and assurance. When faced with insurmountable challenges, the TUL^V provides absolute confidence with its’ RELIABILITY and exceptional vehicle performance. By offering multiple configurations to the TUL^V, utilizing patented mPODs, First Responders can customize their vehicle specific to their requirements. Each TUL^V can carry two (2) mPODS which slide into the main frame of the vehicle and are easily swapped out when needed. From firefighter foam, medical suite, burn over protection or HAZMAT spill clean-up, the TUL^V can carry multiple mPODs to support evolving challenges and weather conditions. 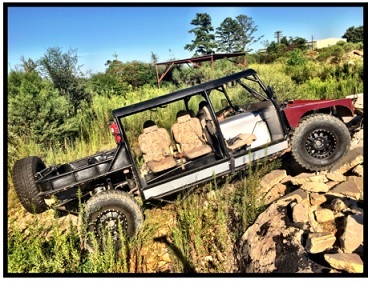 One vehicle, multiple configurations. Why bring an underpowered ATV or UTV to a critical, life saving operation, when they lack RELIABILITY and cannot effectively execute Emergency Response efforts due to failures in performance? Be a leader, set precedent, and be the standard in emergency response with the TUL^V. TUL^V will get you there. Support you there. And keep you safe.